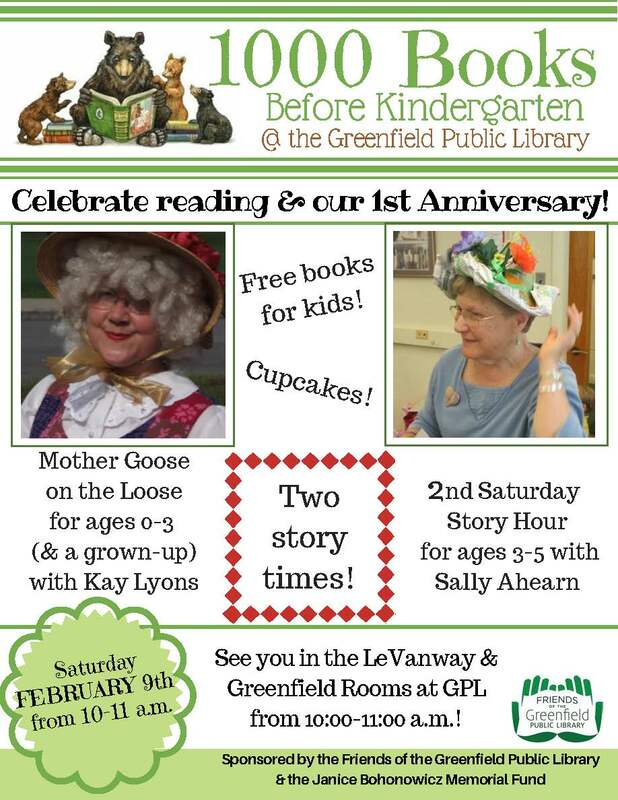 The Friends of the Greenfield Public Library helped to launch 1000 Books Before Kindergarten, a literacy program designed to increase the number of books that parents and other caregivers read to young children, at the Greenfield Public Library in February 2018. 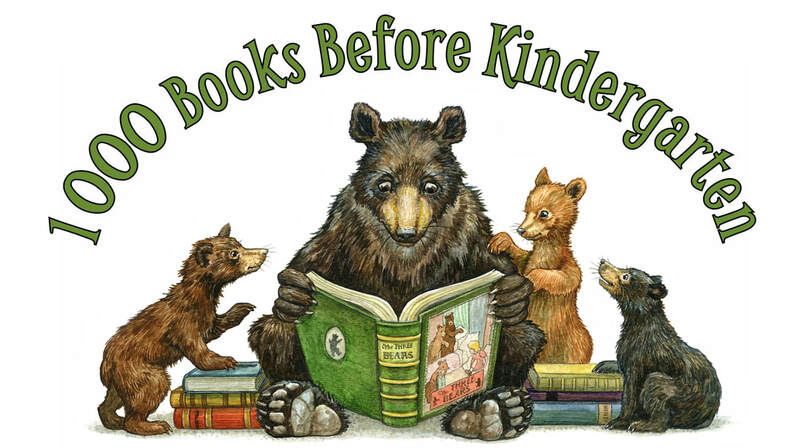 "Experiencing books at a very young age opens up so many opportunities for children -- opportunities that pay off well into adulthood," said Kay Lyons, Greenfield Public Library's Children’s Librarian. "By adding the 1,000 Books Before Kindergarten early literacy program, we're giving parents a clear path to follow to develop literacy skills in their children before they begin school." And the proof is in the numbers. Data from the National Education Association shows that 26 percent of children who were read to three or four times a week by a family member recognized all the letters of the alphabet. The ability for a child to recognize the alphabet drops to 14 percent for children who were read to less frequently. Additional research from the Educational Testing Service found that having more types of reading materials in a home results in children having higher reading proficiency. While the number may seem daunting, a quick division of the numbers reveals its simplicity. 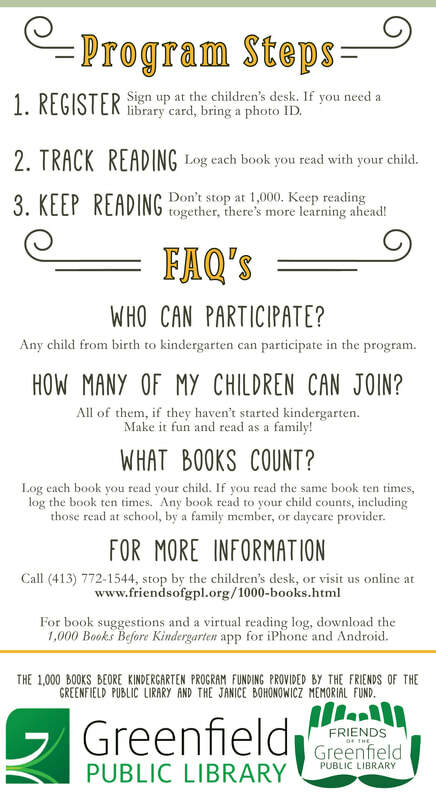 If families read one book a day, they’ll reach the goal of 1,000 books in under three years. If they read three books a day, they’ll achieve their goal in only one year. The program itself is easy. Register any time at the Greenfield Public Library's Children’s Desk and receive a special book bag, with imprinted artwork designed by local author/artist, Astrid Sheckels. Families will have the option to track their reading via the 1,000 Books app or a paper packet. 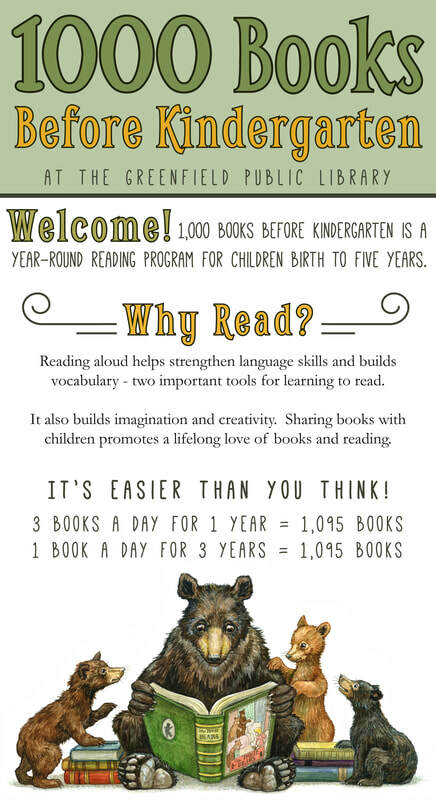 Certain milestones in reading progress will be recognized with special events and celebrations. Any child from birth to kindergarten, may participate. Any book read to the child counts towards the grand total – including those read by daycare providers or other caretakers. If the child enjoys reading the same book many times over, families can log that book as many times as it is read. For families without a library card, signing up is easy. Bring a valid photo ID from Massachusetts or an out-of-state ID with a piece of mail proving MA residency and a GPL library card will be issued. 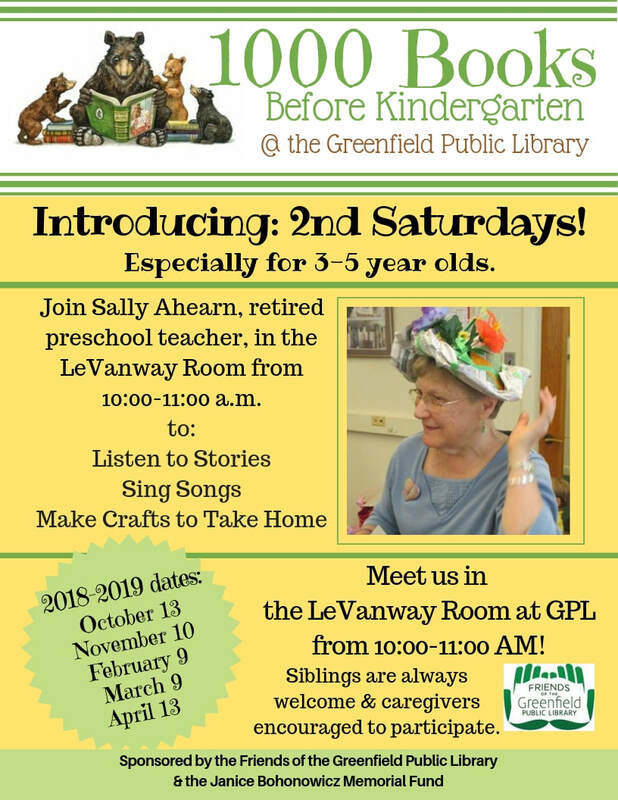 The program kick-off was February 10, 2018 at the library, hosted by the Friends of the Greenfield Public Library. Register any time at the Greenfield Public Library's Children’s Desk.